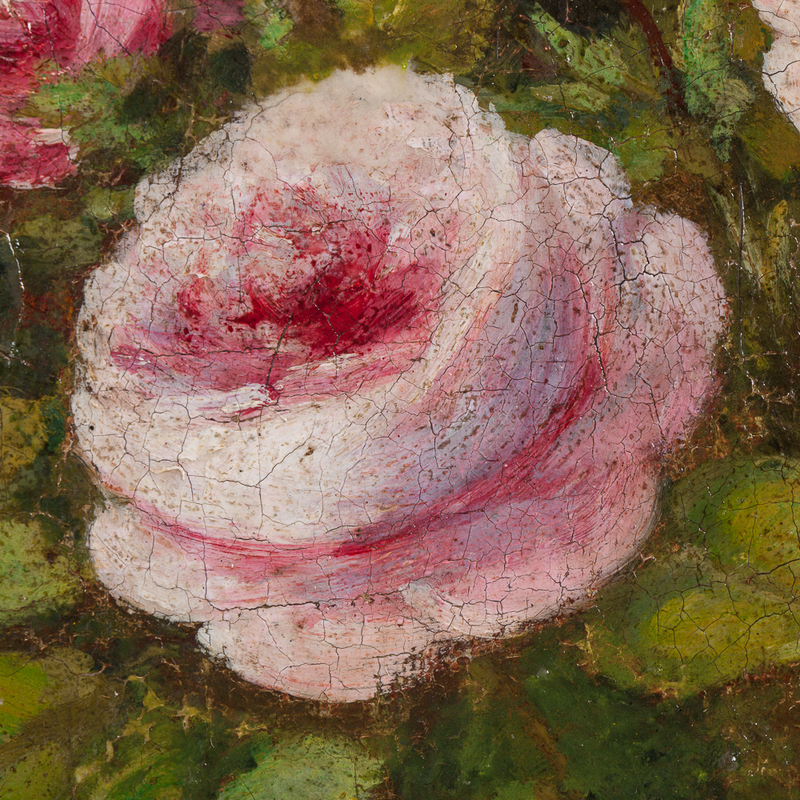 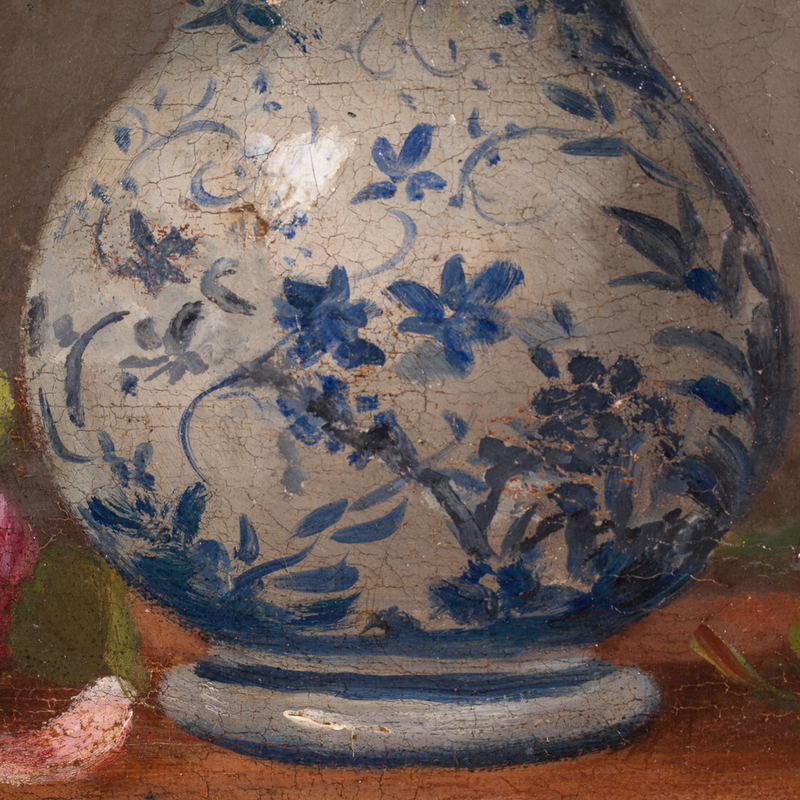 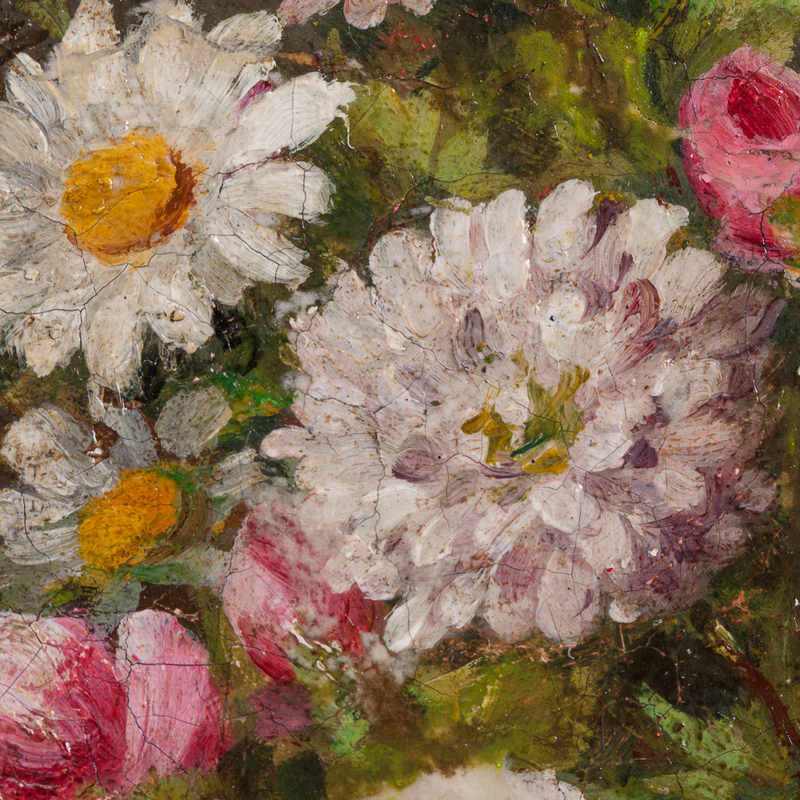 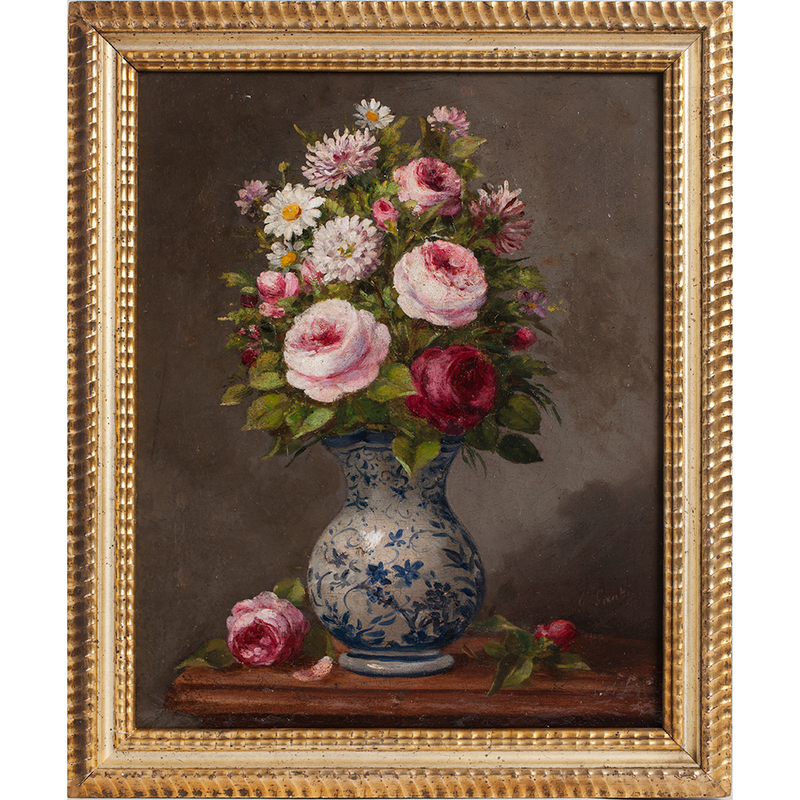 This mid 19th century painting depicts a beautifully executed bouquet of flowers in an antique blue vase with flowers strewn around it. It is signed in the lower right hand corner. 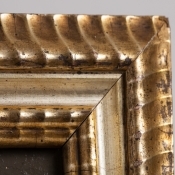 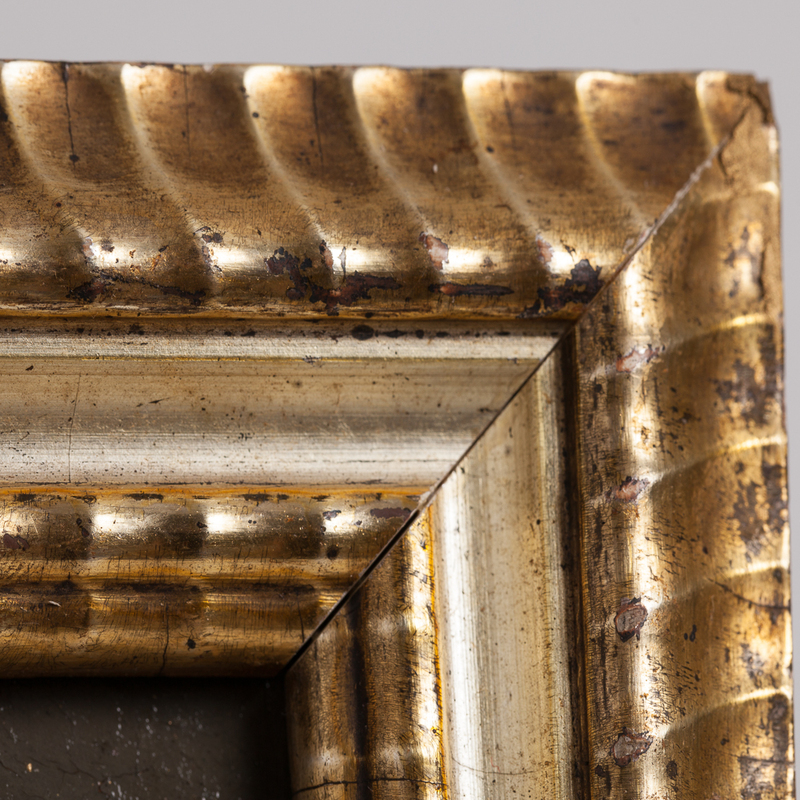 The original giltwood ripple frame is American.